Travel agents are still promoting tourist attractions that are cruel to animals, according to research by Which? Travel. 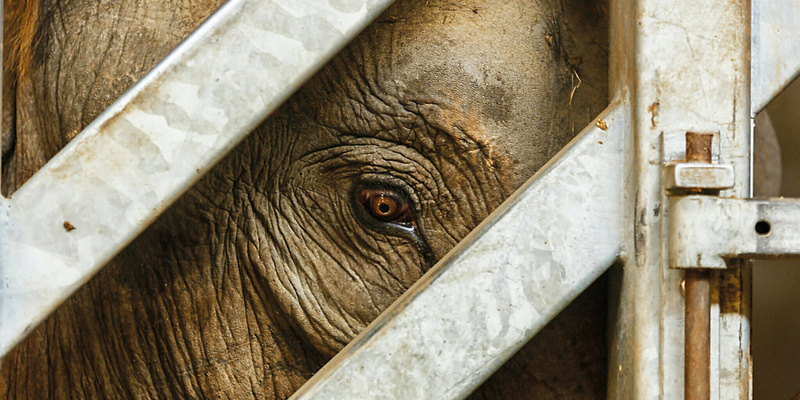 Many of the big names, including Tui, Trailfinders and Expedia, claim to be hot on the issue of animal welfare, but continue to sell tickets to unethical wildlife facilities. 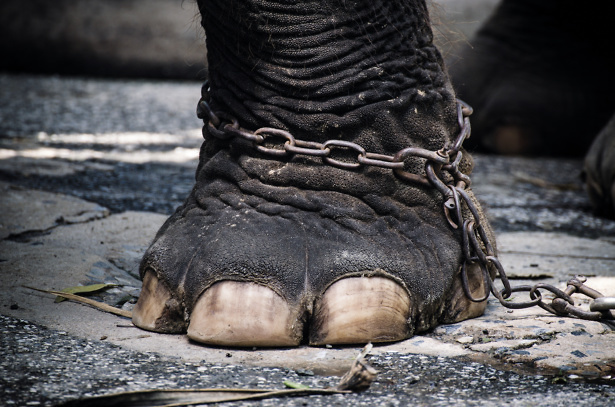 We found establishments offering elephant rides, alligator wrestling and shows which force tigers to jump through hoops of fire – practices which are discouraged by industry regulator the Association of British Travel Agents (Abta). In 2013, Abta published its Global Welfare Guidance for Animals in Tourism, providing members with a set of minimum requirements to phase out bad practice. Last year, Thomas Cook stopped selling tickets to 16 of its animal attractions after commissioning an audit. It found dolphins with badly damaged skin, chained elephants in distress and other animals forced to spin hoops and play tug of war. Other industry giant, including Trailfinders, Virgin Holidays and Expedia, also vowed to take a tougher stance on animal welfare. But nine out of ten companies we investigated were still selling tickets to facilities where animals are reportedly kept in poor conditions, or are forced to perform for entertainment. Not only did we find Tui selling elephant rides on its site, but guest blogs fondly recounted a show where the gentle giants played basketball and danced in ‘traditional’ head-dresses. It’s a confusing message, particularly as Tui officially withdrew from these activities in 2015. ‘Elephant rides and elephant shows are stressful for the animals and harm their wellbeing,’ the holiday provider acknowledged. Riding can damage the elephant’s spine, while the chairs and saddles cause painful lesions. But any kind of elephant tourism can be problematic. Many of these animals are thought to have been illegally sourced from the wild and subjected to an abusive training regime known as ‘the crush’. This involves the calf being separated from its family and deprived of food, water, sleep and social interaction – to literally break its spirit. 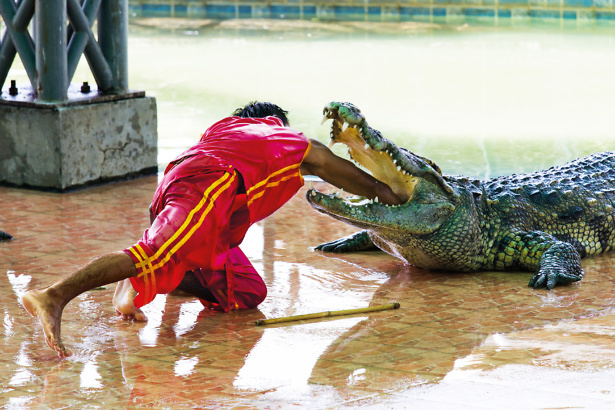 It then becomes ‘tame’ enough to interact with tourists and perform tricks. When we challenged Tui, it didn’t attempt to address our specific points, instead telling us: ‘Tui takes a responsible approach to animal welfare.’ It later deleted the offending blogs, although the half-day elephant ride in Laos is still for sale on its site. Unfortunately, Tui isn’t the only company falling short. Trailfinders, currently a Which? Recommended Provider (WRP), was offering trips to the Thai Elephant Care Center in Chiang Mai. It’s billed as a sanctuary for elderly and retired elephants. However, its founder, Choochart Kalmapijit, also owns the notorious Maesa Elephant Camp on the same site. Here elephants are forced to play football, throw darts and paint pictures for tourists – unnatural behaviours, deemed unacceptable by Abta. A spokesperson for Trailfinders claimed it had removed the Thai Elephant Care Center from sale in January. However when our undercover reporter rang the Trailfinders’ sales team in March, we were still offered tickets. We were also disappointed to find WRP Riviera Travel offering an elephant-back safari on its India and Nepal tour, with each animal carrying four people. A spokesperson for Riviera Travel told us its elephant ride gave customers an appreciation of Chitwan National Park – where Jeep safaris were known to disturb wildlife. However it said a number of initiatives were underway ‘to educate and work with suppliers on animal welfare issues’. Expedia has removed a number of attractions from sale after consulting with wildlife protection groups. However, the Phuket Fantasea Show – a theatre spectacle, which features tigers jumping through hoops of fire – is still bookable on its site. Here, tourists can also bottle feed cubs, a practice which has raised cruelty concerns in the past. Other facilities have been accused of drugging animals, or removing their teeth and claws to reduce the risk to tourists. Tigers have even been killed when they became too large to handle. However, there is no suggestion that Expedia has promoted events of this type. A spokesperson for Expedia told us: ‘We want to educate travellers and allow them to make an informed choice whether or not to participate.’ Similarly, in October 2016, TripAdvisor announced it would no longer sell attractions where travellers come into physical contact with captive, wild or endangered animals. But we found the popular review site selling tickets to Gatorland in Orlando, where visitors pay to wrestle alligators, and the Wildlife Habitat in Australia, where you can pose for souvenir snaps holding a baby croc. Images taken at the Port Douglas zoo clearly show the reptiles’ jaws have been taped shut. TripAdvisor acknowledged to Which? Travel that both attractions were potentially in breach of its policy, and has subsequently removed Gatorland from sale. Since our investigation, Tripadvisor has updated its policy and will no longer sell tickets for shows where captive, wild or endangered animals are forced to perform tricks or other unnatural behaviors. The booking site says it will also vet experiences where physical contact is initiated by the tourist rather than the animal. As well as elephants and big cats, whales and dolphins continue to be captured from the wild to stock tourist attractions. These intelligent animals often develop heightened aggression and live shorter lives in captivity due to poor nutrition and tough training regimes. When we surveyed Which? members, 70% of you said you wouldn’t watch a trained performance by whales and dolphins. However marine park, including SeaWorld, are still big business for companies such as BA Holidays, Tui and Virgin Holidays. 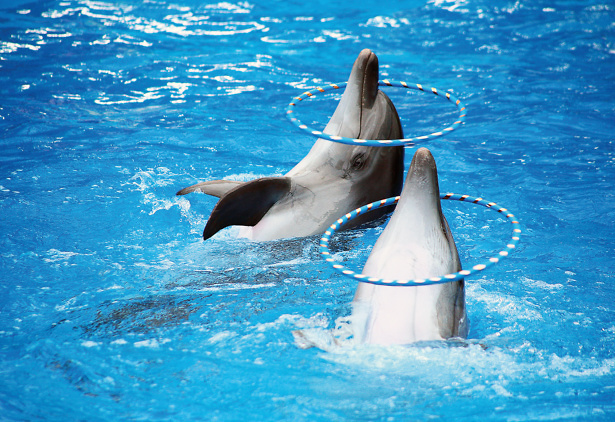 Virgin Holidays has pledged not to sign up any new attractions that feature captive cetaceans for theatrical shows or contact sessions. However it still promotes Dubai’s Dolphin Bay Atlantis on its site, inviting guests to enjoy a belly ride ‘as your new friend powers through the water with you holding onto his fins’. Five out of nine companies did take action after we raised concerns, removing listings from their sites. WRP Audley Travel was the only company we found applying best practice, while Thomas Cook sets a good example with its audits – but, as we proved, it still has work to do.